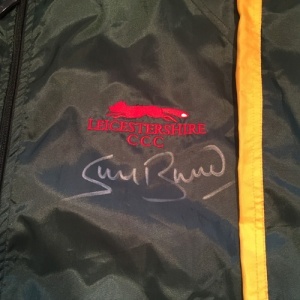 Stuart Broad's match worn showerproof jacket from his days playing at Leicestershire CCC. Stuart Broad is currently one of the top bowlers in the world this top would be an excellent asset to any sporting memorabilia collection. 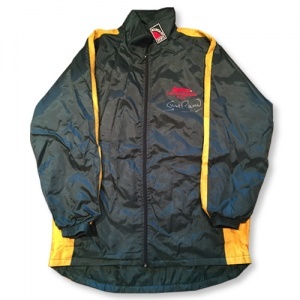 The showerproof jacket is signed just next to the LCCC logo in silver sharpie and comes with a Certificate of Authenticity.